Los Pelambres mine, located in Salamanca, Chile, is the seventh largest producer of copper in the world and sits at an elevation of over 3,000 meters above sea level in the Andes Mountains. More than 365,000 tons of copper is transported every year through 50 square kilometers of uneven terrain. At Los Pelambres, 55 Komatsu mining trucks play a critical role in the mining of copper and other minerals. These super-large dump trucks are used to move the copper along the different processing centers. In an effort to maximize asset utilization, the mine adopted a fast refueling system that would reduce refueling time from 25 to approximately 5 minutes. 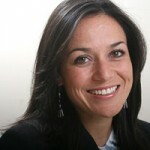 This initiative to improve operations came with an unexpected series of issues that offset the intended goal. Specifically, the rupture of the factory-installed fuel sensors due to pressure. Without a working fuel sensor, drivers had to guess when it was the right time to refuel and could only estimate how much fuel actually needed to be added back into the tank. As it turns out, guessing rarely paid off. Drivers sometimes waited too long to refuel and the tank went empty causing air to leak in. This repair added five additional hours to the refueling process as air would need to first be removed. Most often, however, tanks were filled to maximum capacity only 0.6% of the time, which ended up significantly increasing the number of refueling stops. Because no one could optimize the refueling schedule, drivers often travelled to the same refueling center at the same time, which caused long lines and delays. These issues and the ensuing consequences not only negated the intended benefits of adopting the new refueling method; they actually increased downtime and negatively impacted revenue. 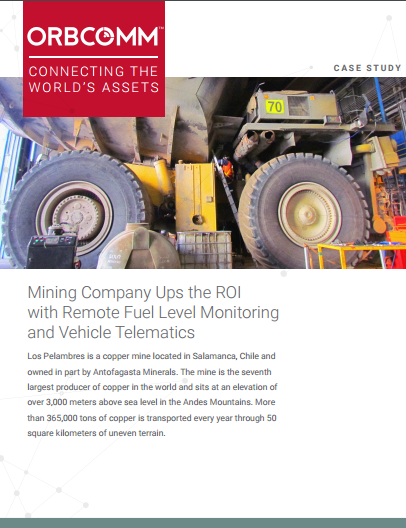 The solution selected at Los Pelambres was developed by Tarco LTDA, a Chilean integrator that specializes in developing custom tracking and monitoring solutions for the mining industry. Tarco’s PCR 1000 constantly monitors tank levels and transmits tank-level data as well as other vehicle telematics data back to a centralized application in real-time using ORBCOMM’s dual-mode IDP-782 device. Since mining trucks operate in remote areas, satellite connectivity is a must to ensure the timely and consistent delivery of data. The IDP-782 transmits data over the cellular network when available and automatically switches to a satellite data service when cellular is down for uninterrupted connectivity. The ruggedized fuel monitoring system is capable of withstanding extreme environmental conditions, including heat, cold, water, dust, altitude and vibration.